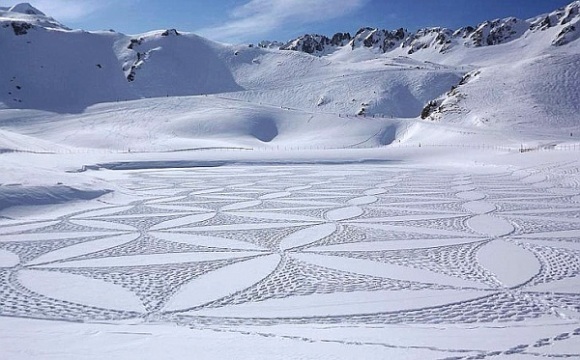 If you are looking for a giant canvas on which to make mathematical patterns, how about fields of snow? 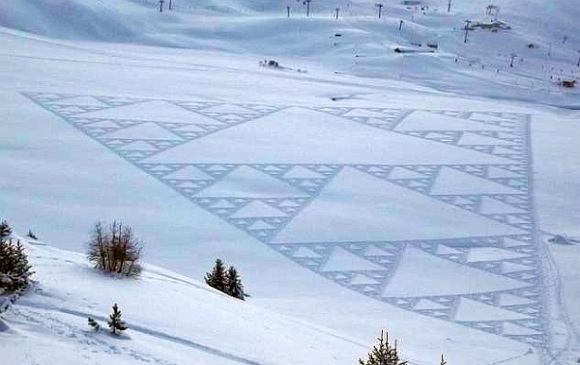 Simon Beck has been stomping out giant patterns for years with just snow shoes. 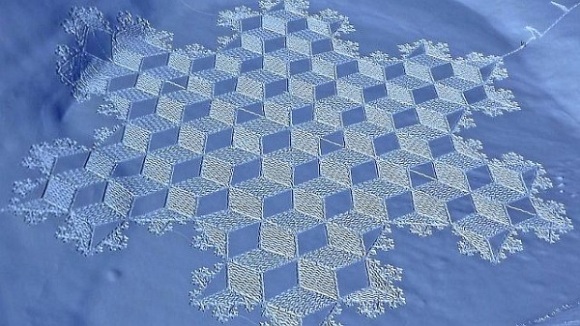 Here are some of his more mathematical examples: a Koch curve, a Sierpinski triangle, and the pattern of overlapping circles that everyone likes to make with a drawing compass. All you need to make your own is some fresh snow and imagination. This article first appeared on Make: Online, April 9, 2012.